Ooo! 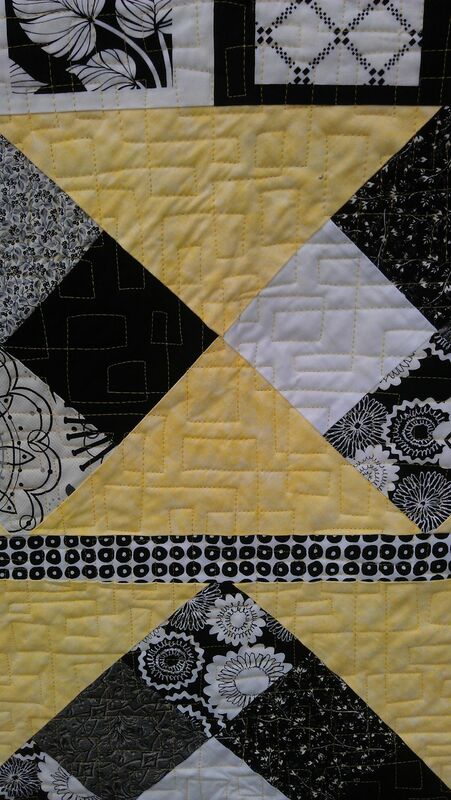 A dramatic yellow, black and white quilt top! 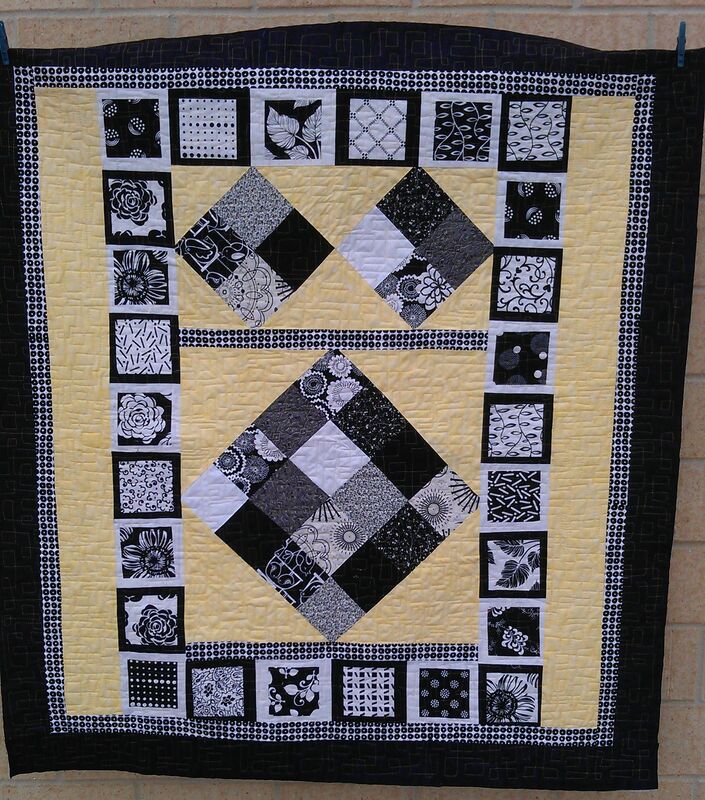 How to quilt it??? There were some floral and leaf fabrics in there, as well as geometrics. 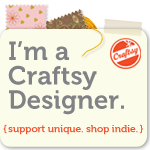 I immediately dismissed the idea of a floral or curly leaf motif and went for geometrics. 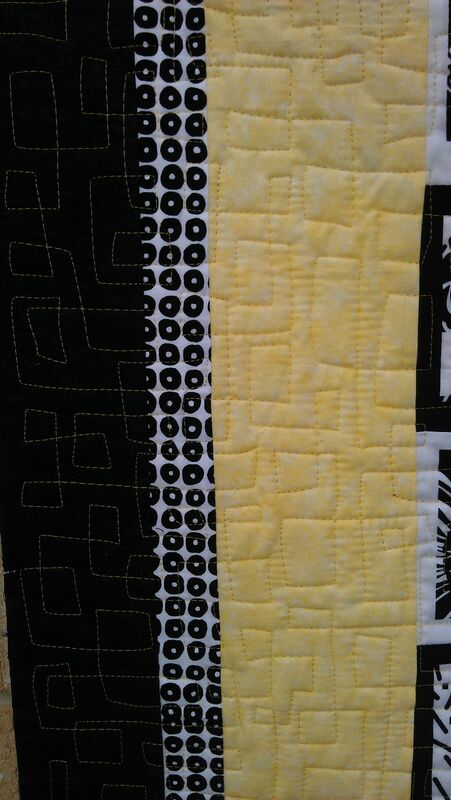 Should I just do straight line ruler work a la modern quilts, or something else? I still wanted to do something similar to quilting on modern quilts but not plain lines, so I opted for a straight line stipple that crossed to form rectangles and ‘sort of’ squares. No rulers or markings — I just eyeballed it and went for it, starting in the centre and working my way out. This is one of those all-over, edge-to-edge, single line quilting motifs that I love doing (I get into a zen zone), and I thought it worked well on this quilt.